Only Christopher Nolan could turn something dumb into something smart, and something smart into something artistic. There have been a lot of movies made about magicians, but none quite like this. 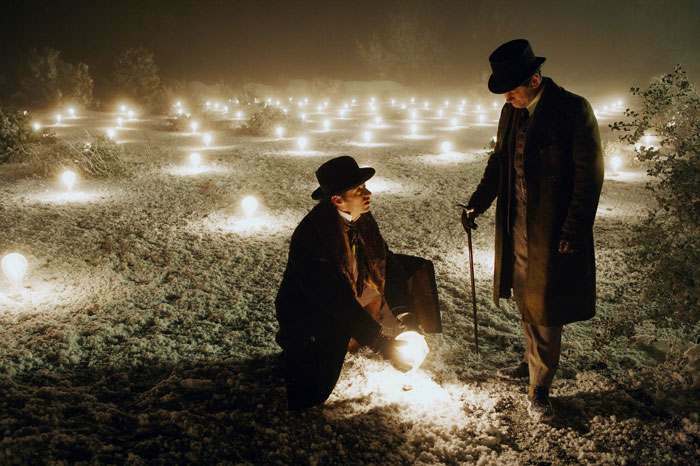 “The Prestige” makes magic seem real, and it portrays the ways to obtain it as truly genius. “The Prestige” follows the same vain as films such as “Sunset Boulevard” and “American Beauty” and uses a narrator who speaks from beyond the grave. Robert Angier (Hugh Jackman), an American magician, begins the film by being murdered by rival British magician Alfred Borden (Christian Bale). From there on, the film flashes between many different points in time. All of the jealousy and obsession between the rivals is revealed to show how it all leads up to the film’s deadly conclusion. If you think I’ve given away the whole plot just because I revealed the ending, you don’t even know the half of it. “The Prestige” is the maximum potential greatness that “Inception” could’ve been if it had a stronger screenplay. While “The Prestige” might not have had the budget or effects of “Inception,” it is an underrated gem that outshines it simply for its story. Writing is a small factor that matters much more than most people realize. “The Prestige” has just about as many twists and complicated layers as “Inception,” yet it handles them in a much clearer way. “Inception” was like a puzzle where you were given the pieces, but had no clue what they were supposed to create. “The Prestige” is like a puzzle where you know what it wants to create, you just have to figure out how to piece it together. This is not meant to speak ill of “Inception,” simply to try and understand why “The Prestige” fell so under the radar. In the world of “The Prestige,” magic doesn’t just involve a straight face; it requires the magician to be intelligent, innovative, and artful. Magic tricks should actually be magical. Although in this world, some of it could actually be real. As for the acting, Jackman shows he is not quite as world class as some of his co-stars, but he is certainly trying his best. Bale meanwhile, is as wildly spot-on as always. Even in moments that seem genuine, he is always projecting a dark underside that is just waiting to be revealed at every moment. That is what truly makes Bale such a great actor: his unpredictability. Nolan favorite Michael Caine also starts in “The Prestige” and for the first time in years, he plays a large, incredibly vital part of a story. While he usually plays the nice old mentor who helps the hero out, in “The Prestige,” his role is less good and much more ambiguous. None of the characters in the movie would function without him. Also, for the sake of getting my hits up on Google, I thought I’d mention that Scarlett Johansson is also in this movie. “The Prestige” reminded me of the recent “Black Swan,” mainly in its final twist. Like “Black Swan,” it pulled off an ending that could’ve been guessed and still makes it both shocking and exciting. Even if an end twist is obvious, it can always be good as long as the filmmaker isn’t pretentious about it. Some might call Nolan a modern day Spielberg for his ability to convert smart ideas in huge blockbusters. “The Prestige,” meanwhile, is Nolan at his most Hitchcockian. Everything about it from the perils of obsession to the way the twists and thrills are laid out would make the British master of suspense proud. “The Prestige” takes a genre that was stretched to its end and makes it fresh and captivating again. “The Prestige” is the best kind of psychological thriller: it actually makes you use your brain to enjoy it. This entry was posted in 1800s, British, Christian Bale, Christopher Nolan, Fantasy, Hugh Jackman, Magicians, Michael Caine, Movie Review, Mystery, Scarlett Johansson, The Prestige on January 11, 2011 by ian0592. Wasn’t this movie made like 5 years ago… And please Oh please don’t compare a real thriller such as The Prestige with the shock-factor borefest of Black Swan! I’m only somewhat kidding, but Jerry Springer was definitely much more entertaining in my opinion than your #1 movie of 2010! I’m getting your much better #2 movie in the mail tomorrow I’m so excited!